DEL MAR — When Samson A. Brown set out to do something big, such as attract the world’s largest and most luxurious yachts to San Diego Bay or build a wind blade company that became a leading renewable energy firm, he didn’t stop just because the odds were clearly against him, friends said. In fact, that only motivated him more. Whatever the challenge, whether it was making sure his companies could successfully compete or simply trying to make payroll when things weren’t going so well, he liked to shake things up, recalled those who worked with him a decade ago at Knight & Carver Maritime. Brown was a fighter, a scrapper, an agitator who enjoyed being in charge, friends said. He rarely took “no” for an answer — not from his employees, advisors, clients, suppliers or even his board of directors. With his razor-sharp legal mind and powers of persuasion, he knew he’d eventually get his way, and he never settled for the easy way out, co-workers remembered. Brown died Nov. 21 at the age of 55, at UCSD Thornton Hospital. The cause of death was pancreatic cancer and related complications. Born and raised near Boston, Brown earned his undergraduate degree in finance from the University of Miami. He then moved to San Diego, where he earned his law degree from California Western University School of Law. “The man could be infuriating, but you’d end up laughing with him afterward,” said Kate Pearson, who worked closely with Brown as Knight & Carver Maritime’s marketing director. “He made good things happen that shouldn’t have happened, that most people thought could’ve never happened. He was like a force of nature. Though both National City-based firms were sold several years ago, Brown and his team built Knight & Carver Maritime and Knight & Carver Wind Group into viable concerns that together employed hundreds of workers and made an impact far beyond San Diego. Named president/CEO of Knight & Carver in early 2001, he confronted the company’s 20-year history of mixed success with a new strategy. Instead of concentrating on new-build yachts, which brought high financial risk, he shifted the business model, focusing instead of refit and repair. His goal was persuade owners, captains and agents of the world’s largest luxury yachts — those cruising glamorous ports of the Mexican Rivera, South Pacific, South Florida, the Caribbean and the French Rivera — to undergo their major repair projects in National City. Brown’s grand vision was put on hold by the events of 9/11, which sent shudders through the yacht industry worldwide. As revenues plunged, he was forced to downsize the shipyard. Not long after, however, a number of superyachts — including those owned by billionaires Paul Allen (Tatoosh, a 303-footer) and Larry Ellison (Ronin, a 196-footer) — underwent major refit projects at Knight & Carver’s shipyard, in large part due to the campaign initiated by Brown and his marketing team. Noting the turnaround, Inc. magazine and Harvard Business School listed Knight & Carver as a top 100 growth company in 2002. One of Brown’s biggest achievements at Knight & Carver came with construction of the M80 Stiletto, the world’s largest all-carbon-fiber vessel — an 88-foot Navy stealth craft that resembled the Batmobile, with a cruising speed of 65 knots and virtually no wake to avoid enemy detection. The vessel, kept under wraps by the U.S. Department of Defense, was delivered nine days ahead of schedule, built to stringent budget specifications. Stiletto was cited by Time magazine as one of the best inventions of 2006. Twice, Brown was nominated as a top 10 finalist for Ernst & Young’s San Diego Entrepreneur of the Year, in 2008 and 2009. Concurrent with the yacht firm, Brown also led the company’s emerging wind-blade division, which he spun off as a separate enterprise in 2007. Within a year, Knight & Carver Wind Group grew to be an $18 million firm with more than 250 employees, ranked among the nation’s leading renewable energy firms. Along with its National City blade-making facility, Knight & Carver opened a wind-blade production facility in rural South Dakota, to take advantage of the wind corridor through the nation’s heartland. In recent years, Brown served as a legal consultant for BAE Systems, a San Diego-based commercial shipyard. In that role, he led the effort to resolve mitigation issues for a coalition of San Diego’s bayfront shipyards, including BAE. As a lawyer in the 1980s, Brown won a series of sizable legal settlements for maritime clients including Knight & Carver. 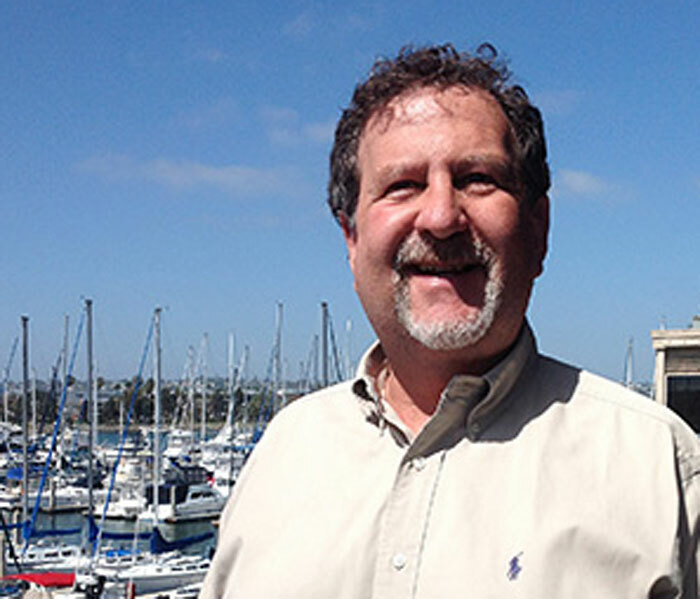 During that time, he became a leading force in what became the San Diego Port Tenants Association, which he continued to serve as an often-vocal board member. “He was always a strong voice for what he believed in,” said Sharon Cloward, the trade group’s president. She pointed out that Brown started “Operation Clean Sweep,” the San Diego Port Tenants Association’s annual volunteer cleanup of San Diego Bay. Just months before being diagnosed with terminal cancer, Brown had rejoined former law partner Michael J. McDonnell to form Novare Law, a boutique firm with offices on San Diego’s Harbor Island. Amid the lifestyle of the yacht company’s jet-set clients, Brown always kept a keen sense of the absurd, said John Freeman, formerly of Knight & Carver, recalling an overseas sales trip to Monte Carlo, in Monaco. A resident of Del Mar, Brown is survived by his wife Maureen; son Joseph, a student at the University of Arizona; and daughter Britney, a student at Torrey Pines High School. Private services are planned for Dec. 7 aboard a Hornblower Cruises yacht on San Diego Bay. Dozens of family members, friends, former employees and colleagues will be present for a celebration of his life. In lieu of flowers, the family suggests donations to the Sampson A. Brown Memorial Fund for the Monarch School.